Manufacturers started to add a small amount of mercury to the mixture in the tubes to (drastically) increase their life-span. However this caused a blue glow around the orange neon glow that some found reduced the overall visibility. To counteract this companies started to offer tubes with an optional transparent red or orange coating, that filtered out the blue glow. This coating is often removed these days, which is simple to do with just warm water. This is especially true if the coating has started to peel off. Conversely, some people dip clear tubes in modern transparent colored coatings. The down-side to doing this is that it removes the original markings on the tubes, which can adversely affect their value. 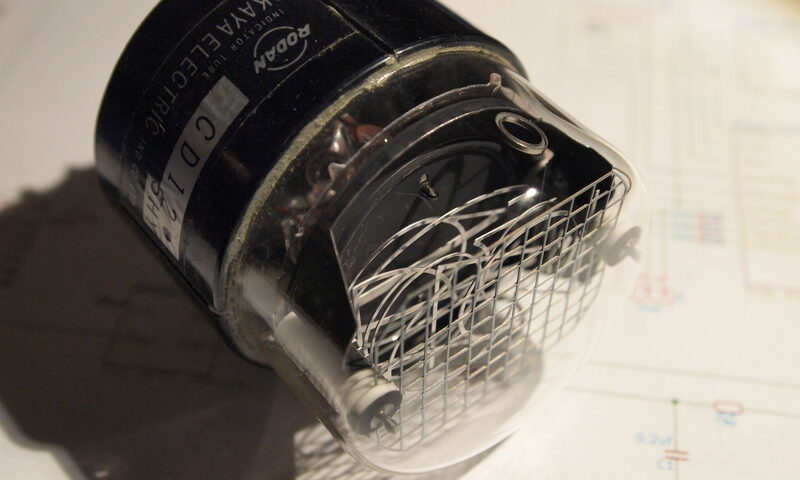 The XN3 numicator is a medium-sized nixie tube made by Hivac of England.